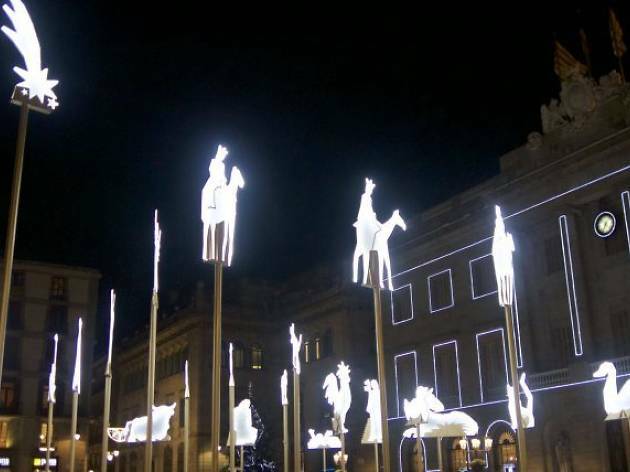 The nativity scene in Plaça Sant Jaume is a Christmas classic in Barcelona. 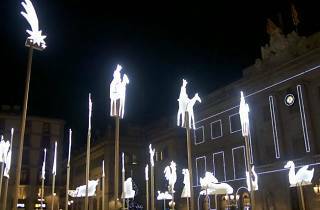 This year the installation is a work by architect Jordi Darder, and it's made up of 25 figures that represent 25 characters from the traditional nativity scene. During the day their shadows play against the façades of the buildings in the square with colour and light. At night they shine with lights on the inside of each figure. They’re all facing in various directions that, combined with the height of the supports they’re on, offer different views of them as a group, whether you’re inside the installation or looking on from a corner of the square.